Kansas State University appears in our ranking of the Top 10 Master’s in Financial Planning Online Degree Programs. At Kansas State University, students have a wide array of opportunities to study accounting, finance, and associated fields at both the undergraduate and graduate levels. Students who wish to earn the Bachelor of Science in Finance, for example, must complete 120 credit hours of core classes, business core classes, major classes, and a nine-credit independent study outside of school time. Students may also minor in subfields, such as agronomy. For that minor, students would study the effects of the financial world on food production and its associated subcategories, such as Weed Science, commodity market trends, and the like. At the graduate level, students at Kansas State University can pursue everything from certificates to doctorates in Economics, Agricultural Economics, and Mathematics. Doctoral programs, of course, require dissertations and are heavily research-focused. Students at the master’s level can earn their MBA, Accountancy, or another degree from a related program. These graduate programs vary in their credit-hour requirements, and students interested in a certain field should check with the applicable department for full details and class lists required of their chosen field. 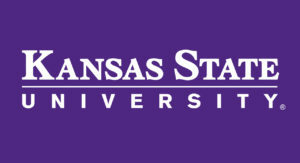 Kansas State Unversity also offers online study in the fields of economics, which can be done online as a concurrent minor in relation to a qualifying bachelor’s degree, personal financial planning through the College of Human Ecology, and undergraduate General Business Administration. Distance learners at Kansas State University have the advantage of studying at the No. 36-ranked online business school as measured by U.S. News and World Report. Overall, KSU’s ranking is No. 147 among national universities and No. 80 among top public schools. Kansas itself wasn’t admitted to the Union until 1861. The state arose out of the blood of thousands of abolitionists and pro-slavery forces, who clashed to determine if Kansas were to be a free or slave state. The abolitionists prevailed. Shortly after its admittance to the Union, the freshly minted state decided it needed a state university. It turned its attention to Bluemont Central College, which became Kansas State Agricultural College and, later, Kansas State University. KSU’s student-to-faculty ratio is 18-to-1, and just about half the classes have fewer than 20 students. It is a fairly large campus at 664 acres, and the total enrollment of students is a shade less than 23,000. Since its inception, KSU has dedicated itself to the freedom and forward thinking indicative in the state’s founders. The philosophy of the school is to treat all students and faculty like family and to build a tradition of strong values, inquisitive education, and unimpeachable ethics. Students must also achieve at least a 22 on the ACT mathematics portion and submit transcripts from all high schools attended. Master’s candidates must have a 3.0 GPA in their undergraduate studies and a bachelor’s degree from a regionally accredited college or university. Students from abroad must have something similar to what is offered at KSU. International students must also provide proof of English competency. Letters of recommendation, a resume, transcripts, and similar documents are all also required. Some departments require students to take the Graduate Record Examination, the Graduate Management Admission Test, the Miller Analogies Test, or a combination. Students should check with their chosen department prior to applying. Prospective Ph.D. candidates must apply using the same process except that their degree requirement is a master’s degree from a regionally accredited institution. Kansas State University charges tuition at all levels by the credit hour. The university has multiple campuses, and the tuition and fees vary slightly, so students should do their research to ensure there are no monetary surprises. The basic tuition for undergraduates is $312.50 per credit hour, and the basic tuition for graduate students is $419.20 per credit hour. The fee structure is extensive, but not all fees apply to all students. Everyone who applies should check the Division of Financial Services section of KSU’s website for further details. Financial aid is broken down into two categories: merit-based and need-based. Students begin their financial aid process with the Free Application for Federal Student Aid, or FAFSA, which is a comprehensive form that details all of a student’s income and assets including those of parents or guardians. The university uses this form to assess a student’s eligibility for need-based aid. Need-based aid comes in three categories: grants, including work-study, scholarships, and loans. Merit-based aid, which might or might not be associated with KSU, is a separate category. Students who have questions should contact the Office of Financial Aid. Kansas State University strives to be a leading institution for students in Kansas and beyond.